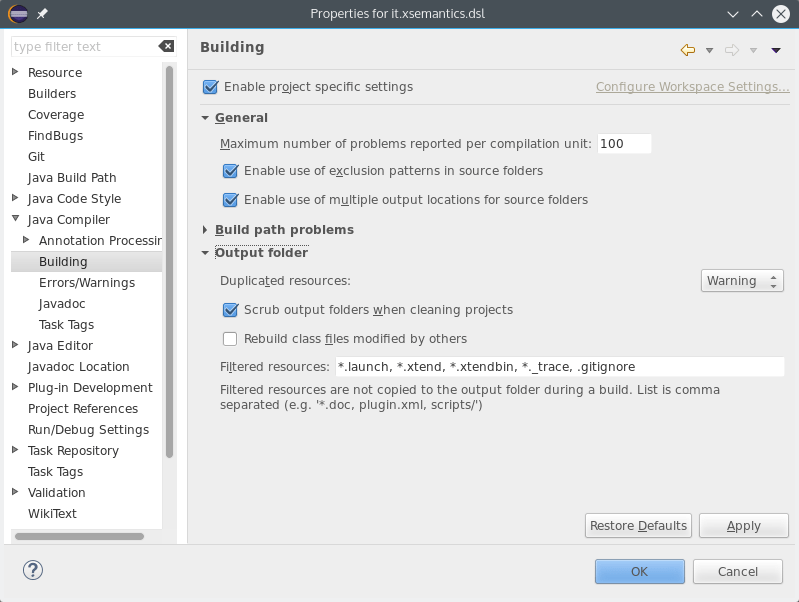 In this blog post I’ll describe my experience in preparing an Oomph setup for a non-trivial Xtext project, Xsemantics. I hope this post can be useful for other Xtext developers. 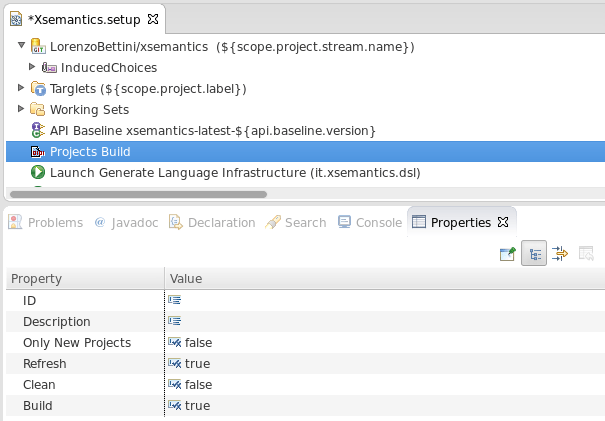 This will not be a tutorial: it will be a collection of hints and procedures for preparing the final setup which can be found here: https://github.com/LorenzoBettini/xsemantics/blob/master/devtools/it.xsemantics.workspace/Xsemantics.setup. 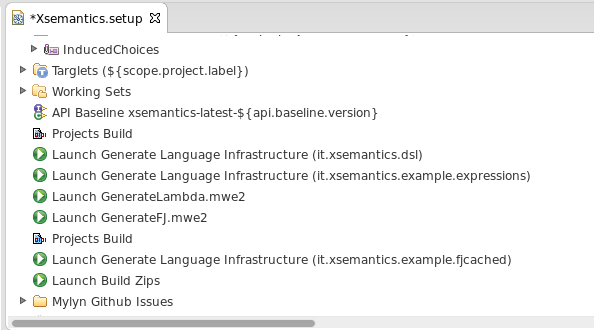 By the way, Xsemantics setup is part of the official Oomph catalog, so you can try it yourself (it’s in the “Github projects” node). 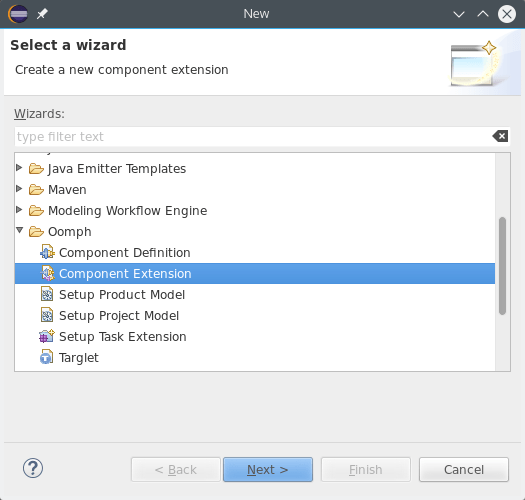 This blog post assumes that you’re already familiar with Oomph and its authoring system. 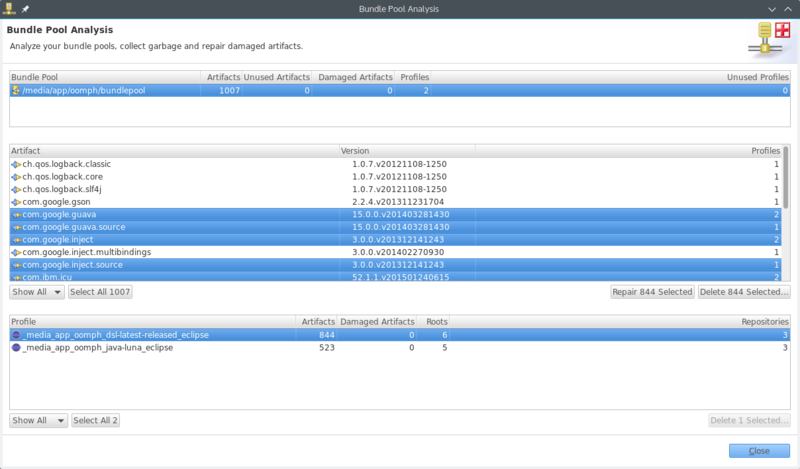 The initial setup file can be created with the Oomph wizard, so I won’t talk about that. This way, when the containing projects will be imported in Eclipse you won’t risk the Java compiler to stop immediately because of a missing source folder. Note that this does not seem to always be required: there are projects that can be built anyway, but I found it easier to always include them all. This is not strictly related to Xtext. 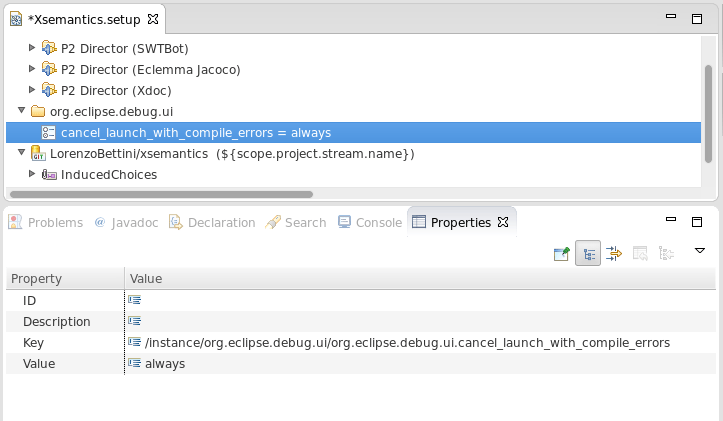 For the targlets task, in order to specify my own features and bundles, I prefer to specify one single feature which acts as a root for all my Eclipse projects that must be imported in the workspace and that participate to the targ(l)et platform via their requirements. Remember that Oomph will resolve dependencies transitively also for your projects. 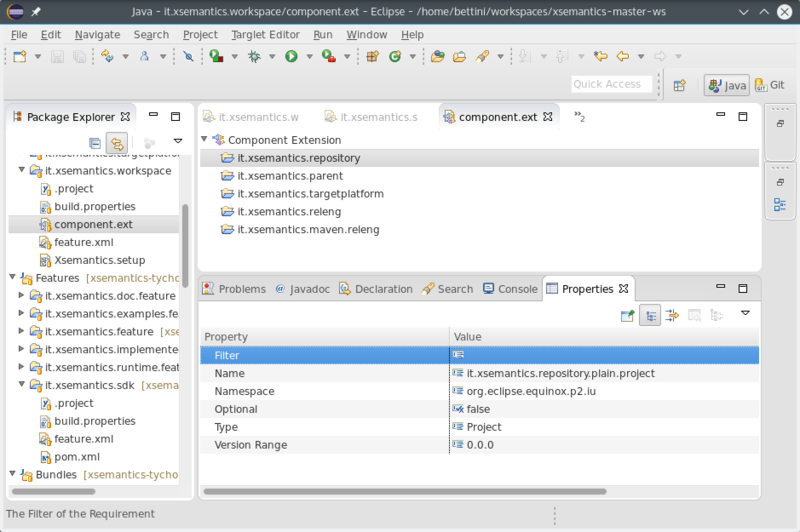 To this aim, I define a feature project, e.g., it.xsemantics.workspace (which by the way also contains the Oomph setup file). You only need to make sure that transitively these inclusions span all your project’s features and bundles. This was the most challenging part: although Oomph provides a “Launch” task, running mwe2 workflows during the workspace setup has always been a problem (at least, that’s what I find in most places on the web). For the “Launch” task, you need to use the name of the .launch file, without .launch. And here’s another small problem: of course the “Project build” task will leave the workspace full of error markers after the execution since the generated Java files are still not there; so the launch of the mwe2 workflow will make the famous popup dialog appear, asking whether you want to cancel the launch because of errors in the workspace… this is very annoying. 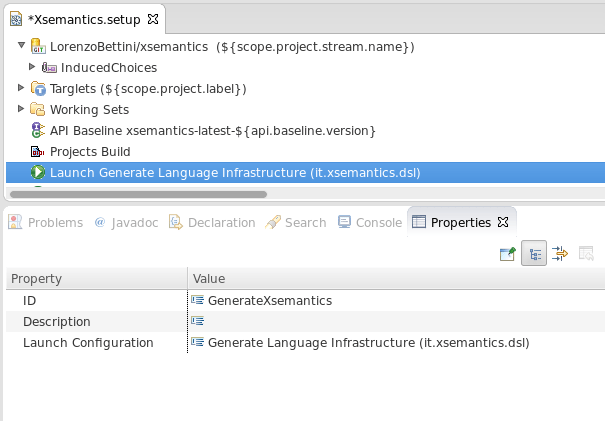 One of the Xsemantics DSL example “FJ cached” extends another DSL example “FJ”, thus, before running the MWE2 for “FJ cached” we must make sure that “FJ” has already been built, i.e., its MWE2 workflow has been executed and its Java sources have been compiled. This setup also features API baseline setting, and Mylyn Github query. 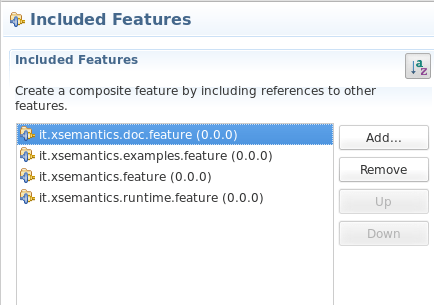 You may want to try it yourself; as stated above, Xsemantics is part of the official Oomph catalog. The whole procedure might take a few minutes to conclude. During the procedure, as always, you might be asked a few passwords, depending on the choices you made before starting the setup. 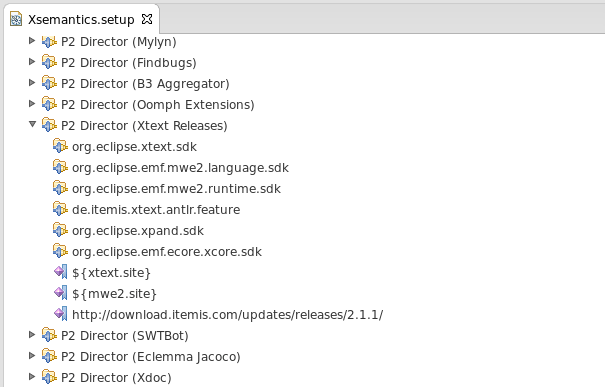 I now started to port all my Xtext projects to Oomph. 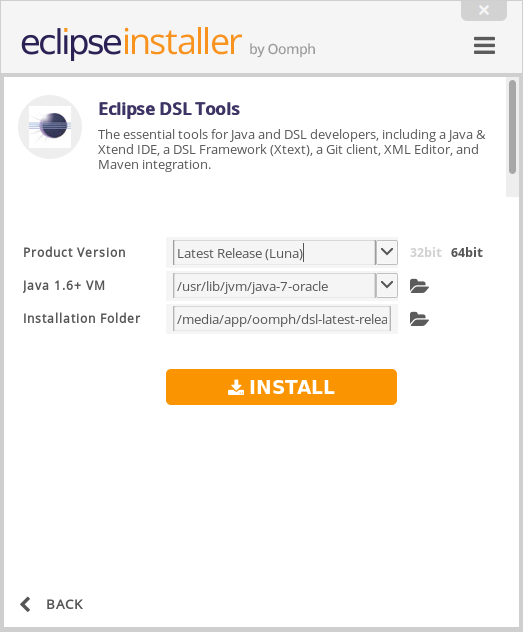 By the way, if your Xtext project is simpler (i.e., no DSL dependencies) you may want to have a look at another example, Java–, which is also part of the official Oomph catalog. 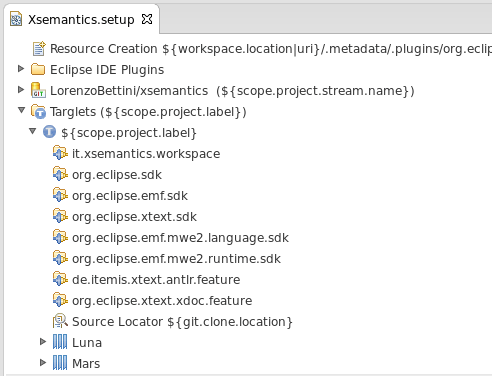 This entry was posted in Tutorials and tagged eclipse, oomph, xsemantics, xtext on October 15, 2015 by Lorenzo Bettini. If you see an exclamation mark (on the top right corner), click on it, you’ll see some updates are available, so update it right away, and when it’s done, press OK to restart it. 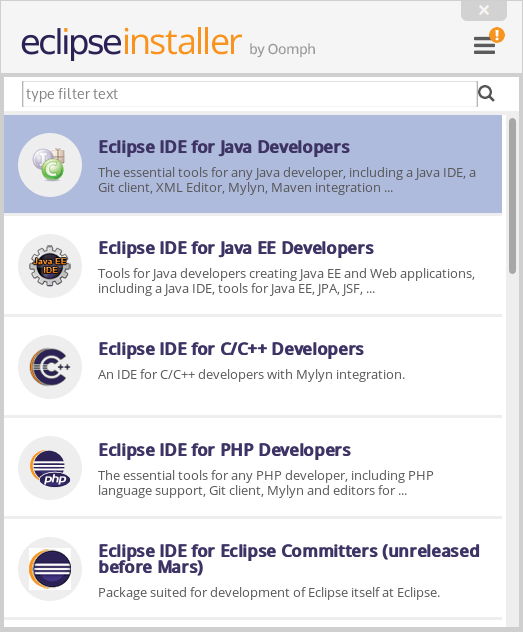 The very same top right corner, also opens a menu for customization of some features, the one I prefer is the Bundle Pool, a cool feature that has been in Eclipse for so many years, and so very badly advertised, I’m afraid! 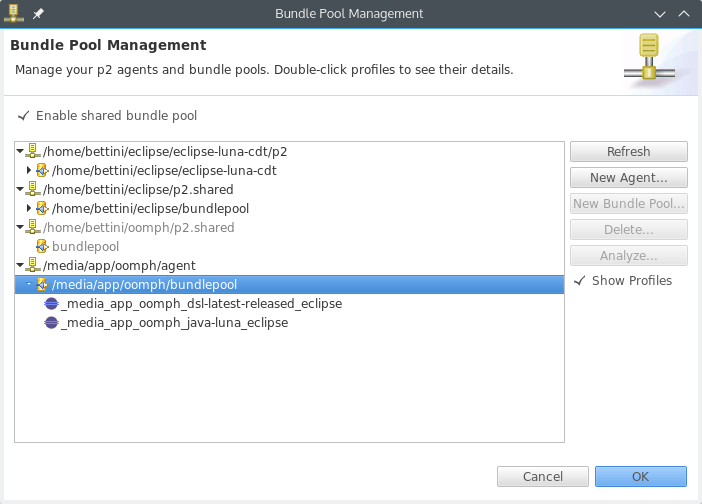 One of the cool things of Oomph is that it natively and automatically supports bundle pools, it makes it really easy to manage them and makes installation faster and with less space requirements (what’s already been downloaded and installed won’t have to be downloaded and installed again for further Eclipse installations). 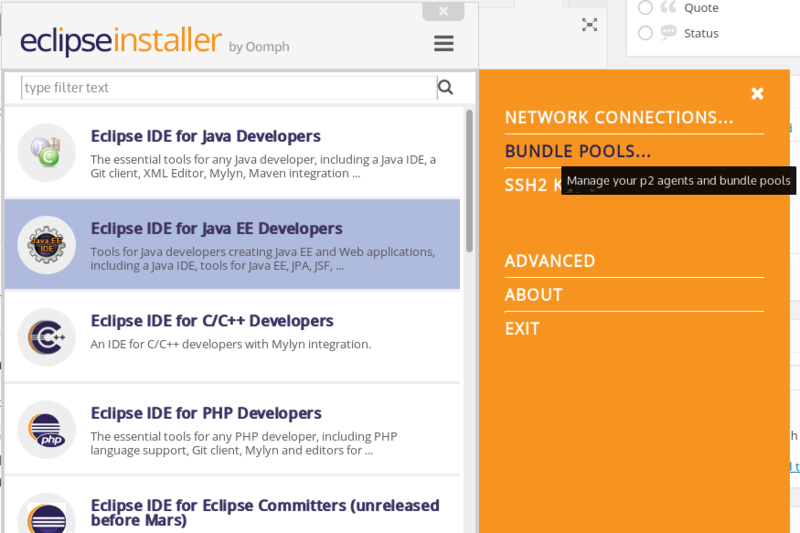 For this blog post I will create another bundle pool, just for testing. 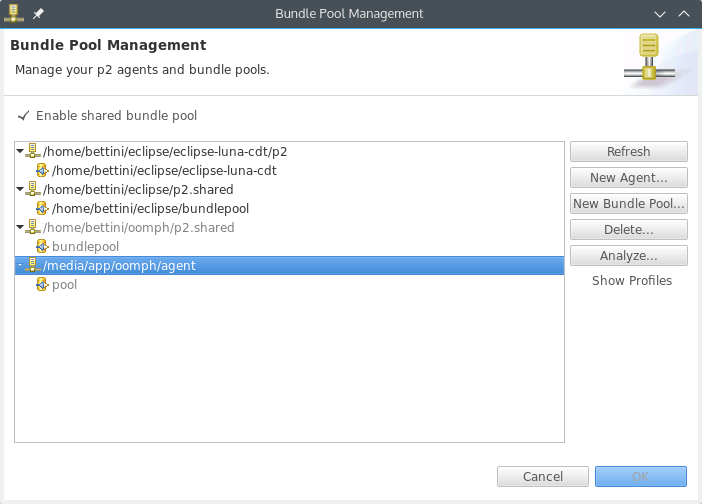 To create a new bundle pool, you first need to create a new p2 agent; the agent is responsible to manage the bundle pool, and to keep track of all the bundles that a specific Eclipse installation requires (this is also known as a p2 profile). Then I select the new bundle pool, and press “OK”. From now on, all the installations will be managed by the new agent, and all bundles will be stored in the new bundle pool. 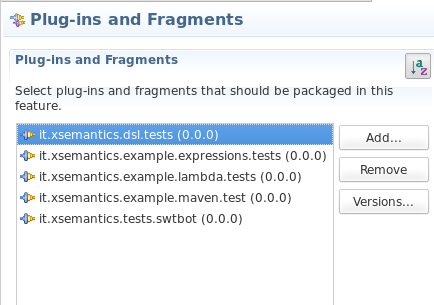 You’ll see that the installer is really quick (as far as I know, Oomph improved p2 internal mechanisms). 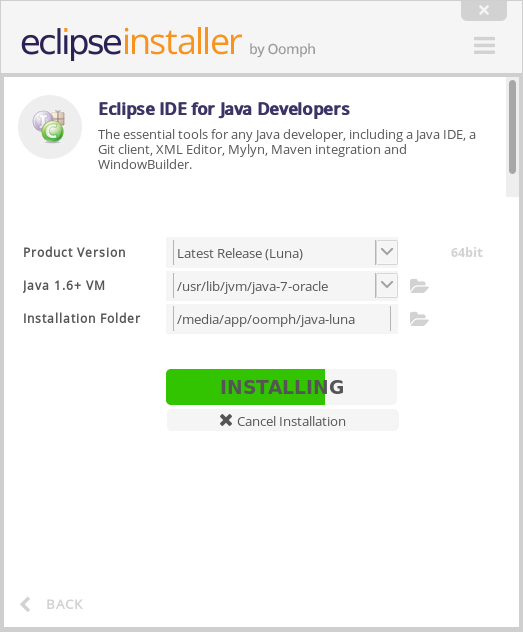 It only took about a minute to install this Eclipse on my computer. Then, you’re ready to launch this installation, or see the installation log. 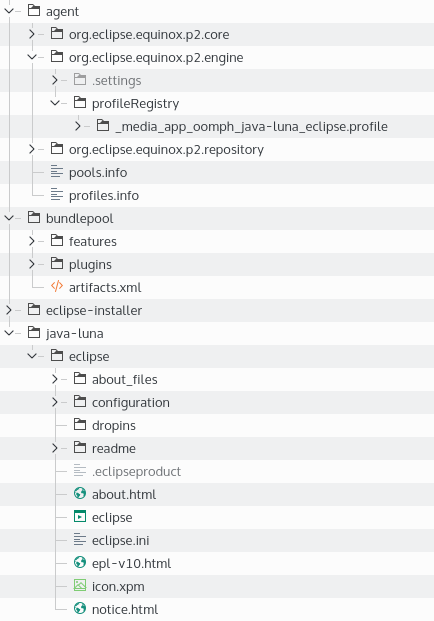 you see that the installed eclipse does not have the typical directory structure: it has no “features”/”plugins” directories: these are in the shared bundle pool. 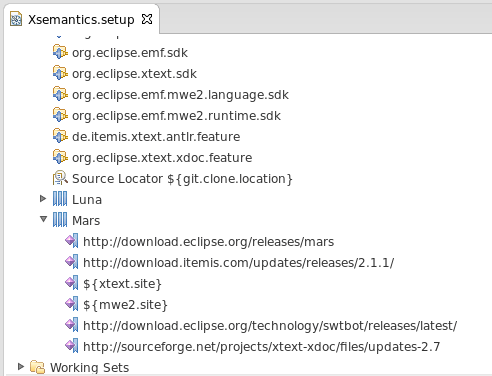 Also note that the p2 agent location has a directory representing the profile of the installed Eclipse. 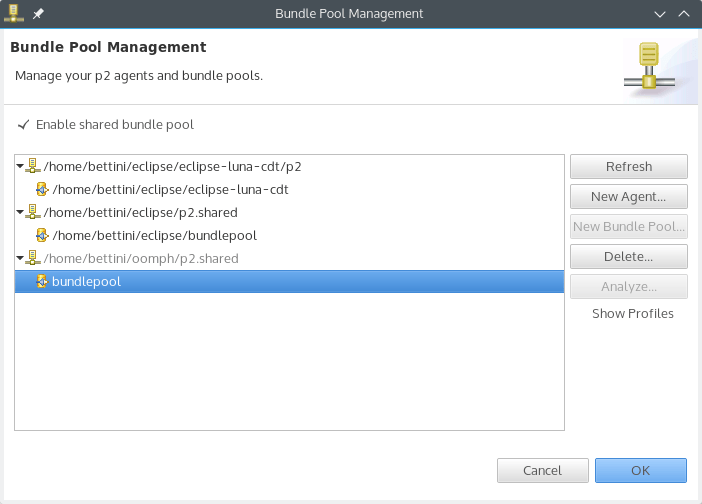 But there are cooler things: Bundle pool management! This entry was posted in Tips and Tricks and tagged eclipse, oomph, p2 on May 11, 2015 by Lorenzo Bettini.